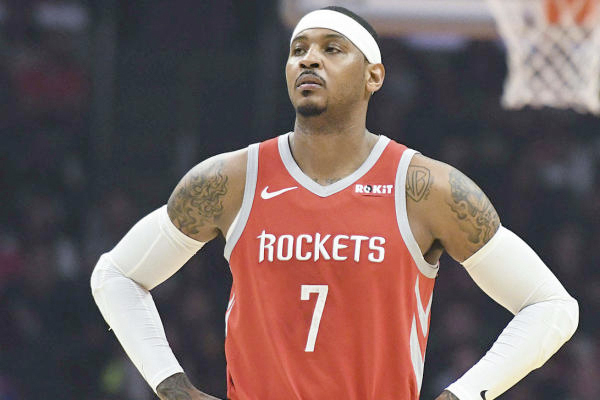 According to ESPN, the Houston Rockets have agreed to trade Carmelo Anthony and cash considerations to the Chicago Bulls. According to Wojnarowski of ESPN, the Bulls have no intention of letting Anthony see the floor. Instead, they will look for a one-for-one trade opportunity if it arises before the February 7 trade deadline. If not, Chicago will waive him. The Lakers have reportedly expressed interest in signing Anthony should a roster spot become available. Melo is good friends with LeBron who has been a vocal advocate for Anthony to join him in Hollywood. Other potential landing spots for him include the Brooklyn Nets, who have an open roster spot after dealing Kenneth Faried to Houston. Anthony’s family remained in New York after his departure from the Knicks, so joining the Nets would bring him back to where his family is. Anthony has also been linked to the Portland Trailblazers. Both Lillard and McCollum tried to recruit him before he joined the Thunder, and they are in need of a third scorer. Finding a good fit with whatever team he joins will be crucial to the future of Melo’s career.